Most people know Roald Dahl as a famous write of children’s books and adult short stories, but few are aware of his fascination with medicine. Right from his earliest days to the end of his life, Dahl was intrigued by what doctors do, and why they do it. During his lifetime, he and his family suffered some terrible medical tragedies: Dahl nearly died when his fighter plane went down in World War II; his son had severe brain injury in an accident; and his daughter died of measles infection of the brain. But he also had some medical triumphs: he dragged himself back to health after the plane crash, despite a skull fracture, back injuries, and blindness; he was responsible for inventing a medical device (the Wade-Dahl-Till valve) to treat his son's hydrocephalus (water on the brain), and he taught his first wife Patricia to talk again after a devastating stroke. His medical interactions clearly influenced some of his writing – for example the explosive potions in George’s Marvellous Medicine. And sometimes his writing impacted on events in his life – for example the research on neuroanatomy he did for his short story William and Mary later helped him design the valve for treating hydrocephalus. 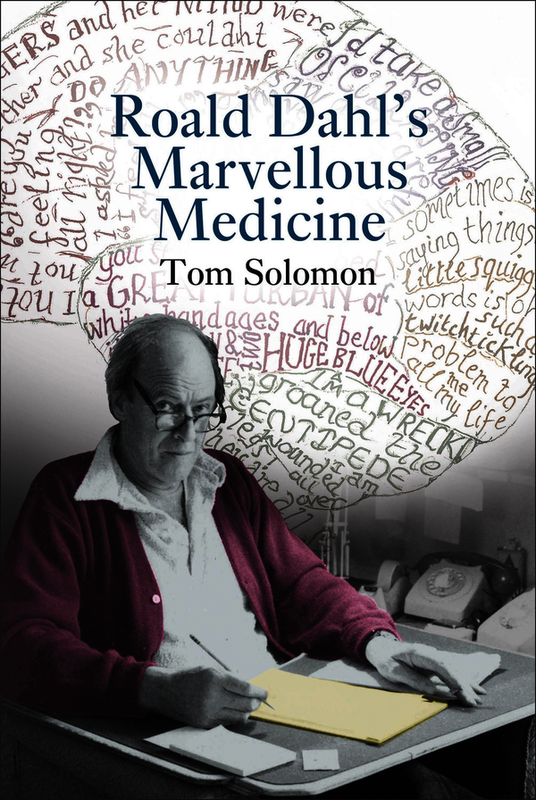 In this unique book, Professor Tom Solomon, who looked after Dahl towards the end of his life, examines Dahl’s fascination with medicine. Taking examples from Dahl’s life, and illustrated with excerpts from his writing, the book uses Dahl’s medical interactions as a starting point to explore some extraordinary areas of medical science. Solomon is an award-winning science communicator, and he effortlessly explains the medical concepts underpinning the stories, in language that everyone can understand. The book is also peppered with anecdotes from Dahl’s late night hospital discussions with Solomon, which give new insights into this remarkable man’s thinking as his life came to an end. Most people know Roald Dahl as a famous writer of children’s books and adult short stories, but few are aware of his fascination with medicine. Right from his earliest days to the end of his life, Dahl was intrigued by what doctors do, and why they do it. In this unique book, the award-winning science communicator Professor Tom Solomon, who looked after the nation’s favourite children’s author towards the end of his life, examines Dahl’s interest in everything medical. Taking examples from Dahl’s life, and illustrated with excerpts from his writing, the book uses Dahl as a starting point to explore some extraordinary areas of medical science. At the same time the book is peppered with anecdotes from Dahl’s late night hospital discussions with Solomon, which give new insights into this remarkable man’s thinking as his life came to an end. Intimate and compelling, Roald Dahl's Marvellous Medicine will fundamentally change your understanding of some of the best-loved stories of childhood. Tom Solomon is a doctor, world-leading researcher, and an award-winning science communicator. Nowadays, as a Professor of Neurological Science and Director of the Institute of Infection and Global Health at the University of Liverpool, he confronts global health challenges such as Ebola and Zika virus, but in 1990 he was a junior doctor tasked with looking after Roald Dahl. He tweets @RunningMadProf.